We specialize in assessment scales (questionnaires) for use with clients in the human services professions and disciplines. 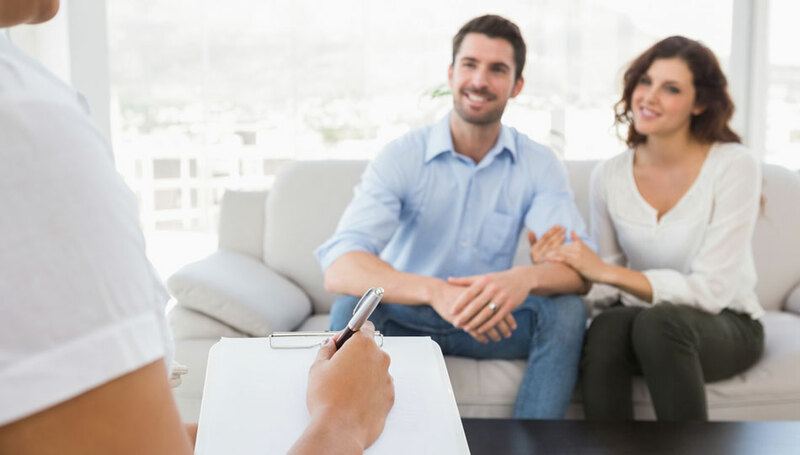 The Walmyr Assessment Scales were designed for use in repeated administrations with the same clients to assess initial problem status and to monitor client progress over time. Each scale has a very good to excellent validity coefficient and the reliabilities of all our scales is .90 or better. The Walmyr Assessment Scales are an accurate and reliable means to evaluate your clients before, during, and after treatment. The Walmyr Publishing Company publishes a rich variety of client assessment scales for use in practice, education, and research. If you are not familiar with the Walmyr Assessment Scales we recommend that you begin by purchasing the Walmyr Assessment Scale Scoring Manual to learn more about the short-form assessment scales that will be most useful to you and your clients. You may also want to purchase one or more pads of the Walmyr Assessment Scale Training Package which contains five copies of the ten most widely used scales. The Walmyr Assessment Scales are available in pads of 50 copies each, ready to use with your clients. Simply peel off the top copy and give it to your client to complete. 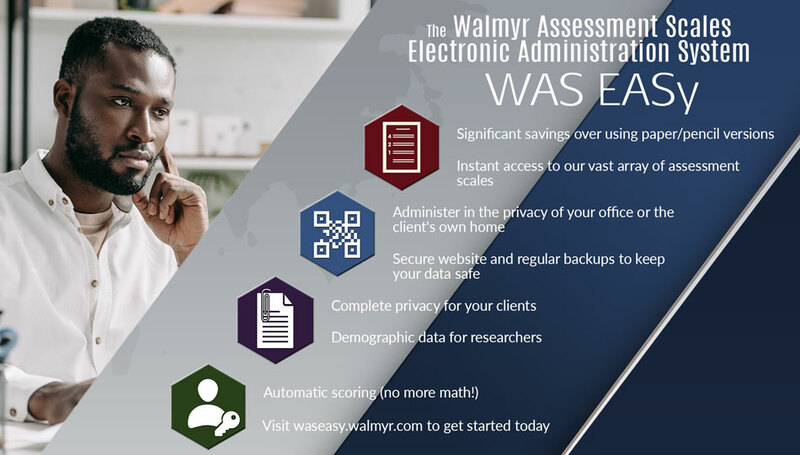 Or register to use WAS EASy, the Walmyr Assessment Scales Electronic Administration System, and administer the WAS scales via computer/internet today! Do you need a simple yet highly effective way to measure the severity of your clients' problems? Do you need to measure and demonstrate good quality assurance in terms of results? In terms of outcomes? For over two decades the Walmyr Assessment Scales have been used worldwide by human services professionals to evaluate and monitor client progress. Do you need a simple yet highly effective way to conduct comprehensive multidimensional assessments of your clients' problems? Do you need to measure and demonstrate good quality assurance in terms of results? In terms of outcomes? The multidimensional assessment scales described here are powerful yet simple tools which you can use to evaluate and monitor client progress. Try the WASSPWeb Online Scoring Program now and get the first year for only $15!